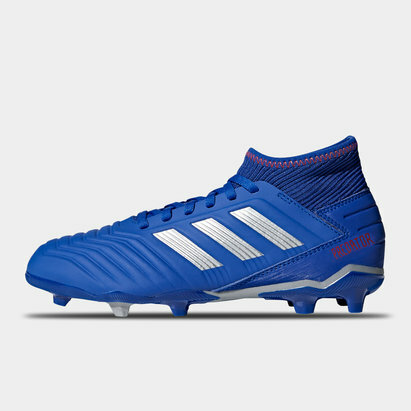 Forming part of the rugby specific Incurza collection, the adidas Incurza TRX FG Rugby Boot takes inspiration from the high end Predator model to create a more affordable offering for young fans of the boot. Created with a Bravo upper material for a strong, light and secure feel, padding inside the ankle and heel ensures a snug fit that is high on comfort that also helps protect your feet. For great performance across firm natural surfaces, a pattern of moulded blades are spread across the sole. 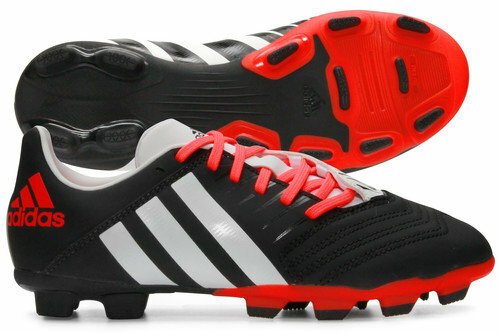 Varying in length and depth, these ensure power and stability when you take to the pitch for training or matches. 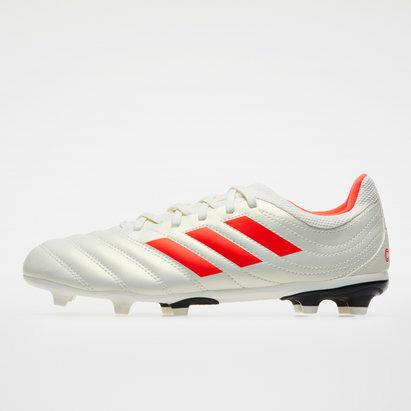 Going back to the traditional colours that have made the Predator such an iconic model, black, white and solar red feature in dominant fashion to create a look that is instantly recognisable. This boot weighs 183g (UK 3).